Backcountry: The hinterland beyond the groomed runs of a ski area; an undeveloped recreation area where self sufficiency is imperative. Ah, the backcountry. Where we make alpine escapes, traverse powder-filled meadows and weave through forested winterlands. Where a trackless trail leads straight off the grid. Find solitude in the stillness of nature. Or the complete opposite: feel your adrenaline rush while clinging to a wall of ice or while barreling through chutes on the back of a sled. At the end of the day, take refuge in a backcountry hut, making fast friends with those who wander in. 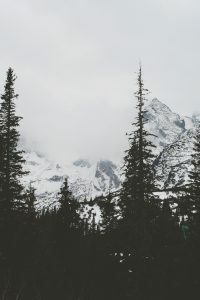 We picked the brain of British Columbia Magazine contributing editor and Explore magazine editor, David Webb for his top backcountry snow adventures. Here are the twenty that made the shortlist. As with any off the grid adventure, venturing into the backcounty can be dangerous. Then factor in winter conditions. Rapidly changing weather and risk of avalanche post a constant danger. Be prepared. SPOT / Satellite Communications: You are better safe than sorry. SPOT can help you stay safe and connected beyond cellular. If you are going off the cellular grid, SPOT Satellite GPS Messengers can send emergency responders your GPS coordinates so that you can easily be located in an emergency and let family and friends know you’re OK when you just want to check in. About: Enveloped by the scenic mountains of the Cascade Range, E.C. Manning Park is an outdoor recreation playground. It’s also the Canadian terminus of the Pacific Crest Trail, recently popularized in the film Wild. The park is home to varied terrain and landscapes: high alpine meadows, wet coastal rain forests, a chain of small lakes and jaw dropping waterfalls. In summer, hikers enjoy a well-established trail network. Come winter, the trails close due to snowy conditions. Worry not though, snowfall simply opens up Manning Park’s expansive backcountry. About: The trail is unmarked and takes approximately 5-6 hours round trip. Depart from Strawberry Flats parking lot area. The trail quickly ascends, winding through Gibsons Ski Area. As a result, the first two kilometres are a strenuous uphill climb. Poland Lake freezes over each winter and remains that way until summer. Winter camping: A primitive wilderness campsite lies at Poland Lake’s northwest shore. Amenities are basic: a bear cache, wilderness shelter and pit toilets. A small creek nearby feeds into the lake. Parking: Backcountry visitors should park in lot 1 or lower parking lot 5. Overnight parking is permitted only in lot 1. Leave a note posted with departure date/time, anticipated return and emergency contact details. 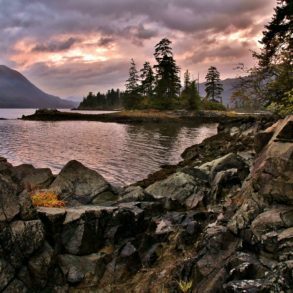 About: This provincial park lies just 15 kilometres from downtown Vancouver. Views from the park offer panoramic views of Mount Baker, Metro Vancouver cityscapes and Indian Arm. In winter, most folks head straight for the ski hill, but the park’s hinterland offers fantastic backcountry recreation. Each year sees the construction of two winter trails. 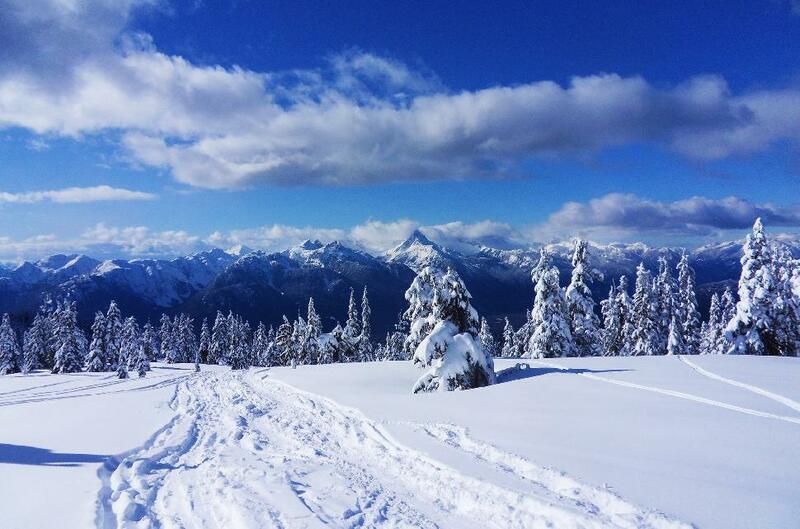 From mid-December through late March, winter snowshoe and ski trails are marked by BC Parks. There are no special passes required for backcountry trails. Those venturing into this backcountry should be experienced, properly prepared and equipped. About: The Mount Seymour Backcountry Access Trail takes you to the saddle between 1st and 2nd pump. From here, admire the great views. Allow for 4-5 hours by snowshoe. Winter camping: Walk-in camping in the group campsite is available year-round, however it is located just 50 metres from lot 1. Amenities: a pit toilet, group shelter, wood stove, picnic tables and one fire pit. Drinking water available but firewood must be purchased. 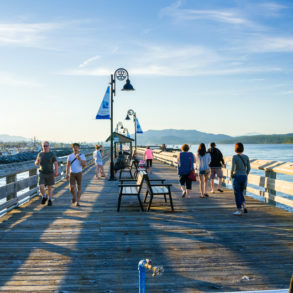 About: Close to Whistler and Vancouver, and home to 90 kilometres of hiking trails and stunning scenery; Garibaldi Provincial Park is a siren’s call for outdoor enthusiasts. The park is busy year-round, especially on clear, sunny weekends. Fun fact: the park is home to a volcano. About: The trail to Elfin Lakes is a well-marked one. In fact, snowshoers will often find it well tracked. The trail was formerly an access road to Diamond Head Lodge. Access the trailhead from Diamond Head parking lot. The trail begins in the woods and steadily ascends up a gentle sloping ridge before depositing trekkers into the high alpine. Those who venture here are rewarded by stunning panoramic views. A two-storey hut offers accommodation and has a kitchen equipped with four propane burners, two wash sinks, a propane heater and lights. Pit toilets available. The hut does not take reservations so those looking to spend the night should be prepared to tent if the hut is full. Note: the road accessing the trailhead can be difficult in snow, 4×4 recommended. A small warming hut is located at kilometre 5 in Red Heather Meadows but sleeping here is only permitted in the event of an emergency. Elfin Lakes hut offers 22 bunks (11 doubles and 11 singles). Access: Clearwater is the gateway to Wells Gray. 5-5.5 hours driving from both Prince George and Vancouver, and 1.5 from Kamloops. About: Wells Gray is one of our favourite provincial parks. There’s a wide collection of natural wonders, from extinct volcanoes and lava beds, to mineral springs and glaciers. And the crowing gem? Spectacular Helmcken Falls. Water tumbles down an incredible 121 metres, making it the fourth tallest waterfall in Canada. Pay a visit in winter when an ice cone forms within the gorge. Wells Gray Provincial Park is also steeped in history. Snowshoeing its trails leads you across land once frequented by trappers and prospectors. Access: About a 40 minute drive from Smithers. Driving north via Highway 16, turn left on Drive Kitseguecla Lake Road. Follow it for eight kilometres before turning left on 608 Road. Drive six kilometres until you arrive at the recreation parking area. Difficulty: Suited for all levels: runs 1 – 3 are advanced, 4 – 6 are intermediate and 7 and 8 are beginner. Trail network: Hankin-Evelyn Backcountry Recreation Area is a winter playground for backcountry skiing and snowshoeing. Since its development in 2008, it’s grown to 11 runs, all just a stone’s toss from Smithers. Trails are strictly limited to self-propelled recreation and the area is well marked (avalanche signage included). Skiing here makes for a fine outing, but its huts make for a fantastic overnighter. Cabin: Hankin Lookout $5.00 per person/per night, payable in advance at Outdoor Essentials, Smithers. It’s equipped with a kitchen, stove, fridge and propane heater. Bunks accommodate eight to ten people. Some have a foam mattress. Views from Hankin are incredible as surrounding glaciers and peaks dominate the skyline. Parking: Completing the traverse from end to end requires dropping a car the terminus. Fitness: huts are no further than 10 kilometres apart and elevation gains of 610 metres. Required skills: excellent navigation and crevasse-rescue. About: Straddle the Continental Divide on this hut-to-hut traverse that weaves between Banff and Yoho National Park. It involves multiple ski-mountaineering objectives, hulking glaciers and excellent snow. This is backcountry ski rivals classic European traverses. 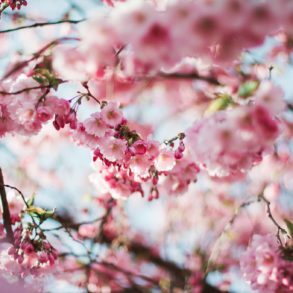 The best time of year to attempt it is in late spring when daylight extends later into the evening. Huts: $25.00 per night, per person, reservations must be made in advance (click here). All huts are shared dorms and bunks are supplied with mattresses. Kitchens are equipped with propane stoves. Parking: Drive to Whistler (1.5 hours from Vancouver) and park in Lot 5, the only lot where overnight parking is allowed. Difficulty: Need to be able to navigate in a whiteout. Ski ability: from easy glaciers to 35-degree chutes to tight trees. About: The Spearhead Traverse follows the height of land behind the Whistler-Blackcomb resort area. Let the Blackcomb lifts whisk you to Blackcomb Glacier; it’s easy access to the alpine without even breaking a sweat. Although this traverse is never more than 10 kilometres from Whistler Village, it certainly offers up a wild and remote setting. Take in the incredible scenery of high passes and multiple glaciers. Winter camping: Trorey Glacier, Platform Glacier, Russet Lake Hut. All free, first come first serve. Difficulty: Moderate. Elevation gain of 350 metres and switchbacks will have you gassed. About: This in-and-out hike leads to a memorial cabin near the Cerise Creek headwaters. 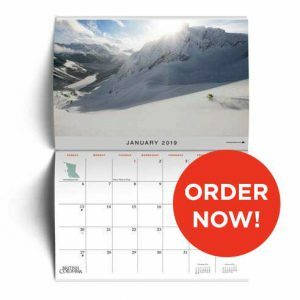 It’s popular in all seasons, so skiers and snowshoers will certainly not find themselves alone. The upside? The trail should be tracked. In the depths of winter it’s not uncommon to find two dozen people -or more – sleeping in the cabin and tenting nearby. Keith’s Hut: This 600 square foot cedar log hut was built by the family of fallen mountaineer Keith Flavelle. It is equipped with a kitchen table, sink, pot belly stove and stainless steel pot. The mezzanine sleeps 20 and beds are first come, first serve. Without a reservations system, bringing a tent is advised. There is also an outhouse and stocked wood shed. The cabin is free for non-commercial individual use, though donations are encouraged by the hiking community. Maintenance is volunteer-driven and operating costs are paid by funds collected via the non-profit Keith Flavelle Memorial Hut Society. About: While this won’t take you out into British Columbia’s backcountry, learning the basics are the first step in that direction. 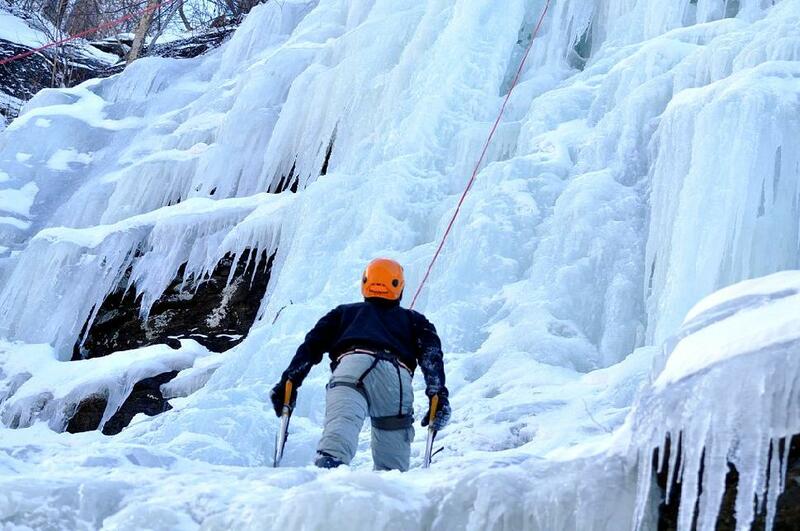 If you’re looking to get into ice climbing, an introductory course is a sure thing. Lean on the experience and instruction of seasoned climbers. About: Lucky us – British Columbia has some of the most spectacular ice climbing in the world. What’s more, Revelstoke is home to some of the tallest waterfall climbs. Sledding in Valemount is all about one thing: POWDER. The morning after an overnight snowfall the backcountry becomes a magnet for snowmobilers. 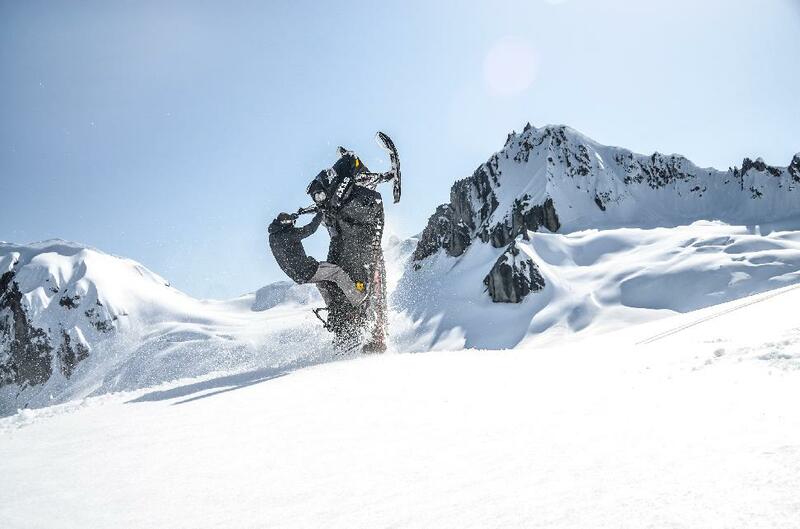 This is country where champagne powder meets expansive blue skies. Flock to Blue River for deep powder, bowls, chutes, and filled-in creeks that lead to endless alpine. The best time of year to sled here is November through April, but trails are groomed December through March. Notes: Hardy sledders can do some winter camping at Blue River Campground. Alternatively, there are comfortable cabins at Bone Creek Wilderness Creek. With over 240 kilometres of trails, Golden is a sled mecca. Enveloped by the Purcell, Rocky and Selkirk Mountains, it’s almost trite to describe the views as simply scenic. They stunning, if not ethereal. Light and dry snow conditions also make Golden a favourite. It consistently receives top SnoRiders Rider’s Choice awards. Trail pass: Required when using maintained trails. $25 per sled, payable at trailheads. Quartz Creek – 80 km round trip, elevation of 2,590 metres, accessed 40 km west of Golden via Highway 1. Ride to the trails terminus at Golden Snowmobile Club cabin before heading back. Suitable for beginner through advanced riders. Gorman Lake – 32 km of advanced level terrain sitting at an elevation of 2,743 metres. Touted as a “hill climber’s paradise” by Tourism Golden. Silent Pass – 60 kilometres (one way) that lead into rolling hills of the alpine. Suitable for beginner through to advanced sledders. Non-Maintained Trails – Mount 7, Hospital Creek, Glenogle, Blaeberry, Susan Lake, Hope Creek and Chatter Creek. See trail descriptions here. Come winter, Smithers transforms into a snow sport Valhalla. Rev the sled during December through April for prime snowmobiling conditions. An active community of sledders means hundreds of kilometres to explore, both groomed and untracked. If you’re after vistas of snow covered mountains and rolling meadows, you’ll find it here. The Onion – 9.5 kilometres to reach the Onion shelter (rated easy for powder meadows) and another 4 km to Burdettes Shelter (requires some more experience). 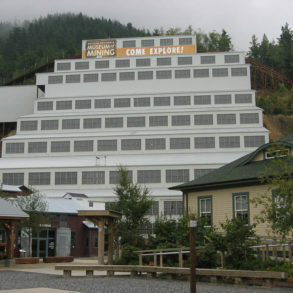 The Onion lies within Babine Mountain Provincial Park , and the trailhead is located 20 km north of Smithers. The Dome – 8 kilometres one way to reach the Jason Robert Elliot Memorial shelter. Rated easy through moderate and located 25 km north of Smithers. Enjoy rolling terrain and scenic views on this leisurely trail. The Microwave – 7 easy kilometres to reach the ‘JE Cabin’ Emergency Shelter, followed by tight ungroomed trails and bowls, steep climbs, hills and valleys. Trailhead lies 19 km southeast of Telkwa. Suitable for experienced riders. Harold Price Recreation Area – a well-groomed and inclusive sledding area. Bring novice sledders and the whole family to explore meadows and rolling hills. Thrill seekers with experience can access Goat Mountain from here. Access Harold Price 30 kilometres west of Smithers. Once Canim Lake freezes over, it’s time to bundle up and drill down. Anglers can expect to catch Burbot (ling cod), kokanee and trout (lake and rainbow). Expect the ice fishing season to start in mid-December and wrap up by mid-March. Take in the beauty of the surrounding area: meadows, mountains, rolling hills and coniferous forest. Horse Lake typically freezes over in November and lasts until May. It’s a popular fishing hole, frequented by holiday makers and locals alike. The landscape enveloping the lake is marked by forested rolling hills. One Island Lake is a small northern lake contained within a provincial park that shares the same name. Anglers can expect to catch rainbow and brook trout. There are many websites that remark on the fishing conditions here – many of which suggest using shrimp for bait. This fishing hole is located 60 km southeast of Dawson Creek. Take Hwy #2 east of Dawson Creek for 30 km and look for the Park signs. Use caution when travelling to Whiteswan Lake. The forest service road used to access it is an active logging road. Those looking for a frosty adventure can embark on some winter camping. All campgrounds in the provincial park are available to those willing to park at the gate and walk in to a site. (Inlet Creek Campground however, is not gated.) There is no cost charged for winter camping. This British Columbia backcountry adventure round-up was brought to you by Globalstar, makers of SPOT Gen3, SPOT Trace and SPOT Global Phone. 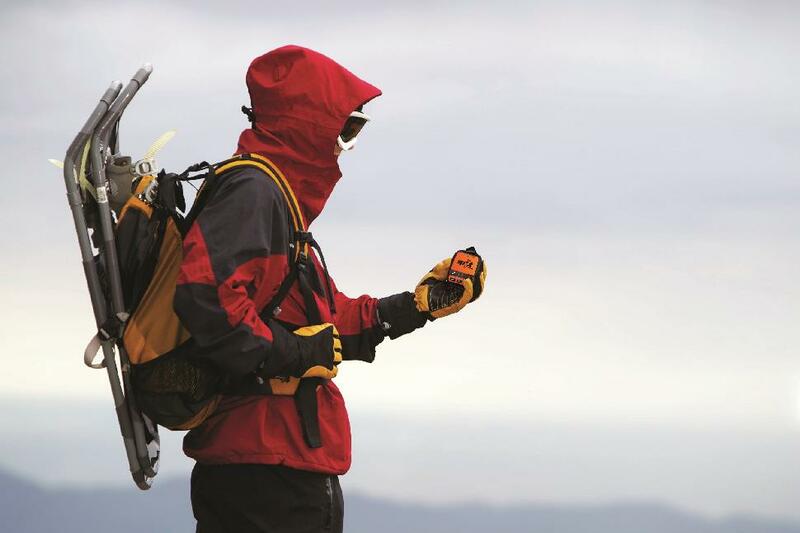 For peace of mind wherever your backcountry adventures take you, including beyond the cellular grid, there’s never been a better time to pick up a SPOT satellite device. SPOT will keep you connected to the people and things that matters most, including emergency services, using the world’s most modern satellite network. For SPOT product and pricing information visit findmespot.ca.